Cracked glass beads, pieces of melted glass and glass “teardrops” are among the remains of the glass workshop, which operated approx. 2 thousand years ago on Mount Grojec in Żywiec. It could be the oldest facility of this type in Poland. There is little evidence that glass was produced and processed in prehistory in the Polish territory. This type of activity flourished only in the Middle Ages. “Therefore, our findings are very important,” emphasised leader of excavations at Mount Grojec, Dr. Tomasz Gralak from the Institute of Archaeology, University of Wroclaw. Mount Grojec, now covered with forest, is a frequent destination for residents of Żywiec and many tourists. “The mountain is located centrally in Żywiec Valley and offers a great view of the area. Probably for this reason a settlement was established here more than 2.5 thousand years ago,” said Dr. Gralak. Research shows that people inhabited the slopes of the mountain from the 6th-5th century BC until the turn of the eras. This is evidenced by the characteristic forms of discovered objects. The remains of intense economic activity date back to the end of this long period. 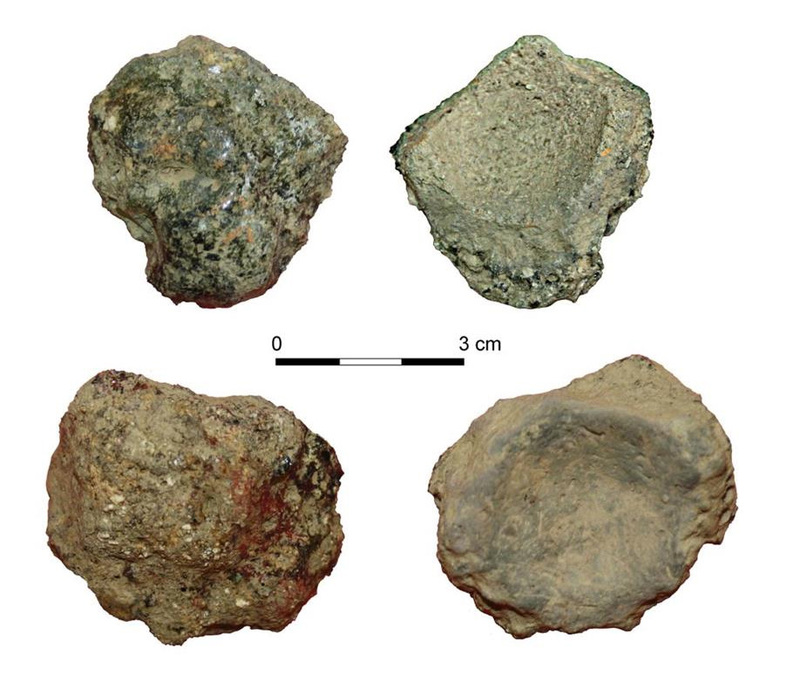 Archaeologists have discovered numerous furnaces, some of which could have been used for metal and glass processing. “It was here that half-processed material in the form of lumps of raw glass or metal bars was delivered and finished items were made,” said Dr. Gralak. Glass objects discovered in the vicinity of the furnaces drew particular attention of researchers. Only few and uncertain traces of glass processing in such early periods in our lands are known so far, according to the archaeologist. In addition to furnaces, scientists have discovered slag glass, i.e. heavily melted lumps of glass, which are waste products of the workshop’s activity. There were also broken fragments of lumps of raw glass (half-product supplied from glassworks). Archaeologists also found glass “tears”, another type of production waste. Not many fragments of objects and glass waste were discovered – emphasised the archaeologist. But they illustrate the full course of the process. It is concluded by the discovered finished products, such as blue-purple beads, and cracked pieces – those that were made with defects by the ancient glassmakers. The fact that the studied site was a workshop is further evidenced by the discovery in the form of a large well-cistern dug nearby. Water was in fact necessary in the course of metalworking. There are crucibles, which were used for melting bronze, as well as the stone grinders needed to form the objects at the final stage. It can not be excluded that some of these objects were also used in the production of glass beads. This, however, can only be confirmed by further expert analysis – reserved the archaeologist.